If you have an interest in tea culture and high-quality tea, the questions of where and how your tea is made are probably important to you. Taken as a whole, of course your tea’s supply chain can tell you much about its quality. The history and culture of where your tea comes from probably matters to you too. Who makes your tea and their way of living also affect the quality of tea in your cup. For instance, if they’re a heavy smoker, chances are that at least their sense of smell has been damaged. This, especially in the case of Wulong production affects the teamaker’s ability to sense when the tea leaves have reached a level of oxidation signifying that they’re ready for kill-green — the process by which oxidation is stopped.Because they have an enormous bearing on the character and class of the finished tea, A tea maker needs to be very well tuned. Yet, the character of your tea begins well before the leaves have even been picked. The most important among the markers along the way begins with soil health. For starters, the microorganisms in dynamic soil have influence over just how good your tea feels, let alone tastes. So, how can you and the tea you drink align itself with hallmarks of tea culture, such as clarity, reciprocity, and good health? If the oft-repeated idea, that “A cup of tea is a cup of peace.”, resonates with you please consider some of the following relationships.Farming practices the world over, especially the large and industrialized variety are largely tainted with neurotoxins, artificial pesticides, herbicides, and fertilizers. It’s been shown that the use of some of these otherwise naturally yet human-amplified chemical structures such as nitrogen help ‘improve’ harvests by as much as one-hundred percent — which prior to WWII hadn’t been seen before. In turn, these ever-increasing harvests help make it possible for over three billion people to live on the planet.In ‘The Hydrogen Economy, by Jeremy Rifkin,’ he says, “By the 1970’s the U.S. had lost more than one-third of its agricultural topsoil. The depletion and erosion, in turn, have required the use of ever-increasing amounts of petrochemical fertilizers to maintain agricultural output.” That said, this pattern has become endemic the world over, and has certainly been in place in the farming of tea in Taiwan since the 1970’s if not earlier. At this point, it’s well known that due to demand for Taiwanese tea, especially high mountain tea from, to name a few places, ‘Ali Shan, Yu Shan, and Dong Ding’, for the sake of “convenient” farming, and to meet customer demand, many farmers turned to the aforementioned artificial chemical pesticides, herbicides, and fertilizers, at the expense of the land and water-table. Unwell and dead topsoil equals unhealthy and lifeless tea — not to mention sick bodies of water and people who drink from them. Of course, it is difficult to predict the trajectory that the effects of technological innovations will have on global society. What is clear, however, is that rather than representing disitinct and mutally exclusive chapters of human history, agriculture and warfare are often engendered by the same innovative and disruptive technological forces. BASF — the first company to manufacture ammonia using the Haber process and now one of the largest fertilizer producers in the world — offers a prime example of the link beteen military and agricultural innovation. In other words, while our military innovations have fueled agricultural productivity and prosperity on previously unseen levles, it may be our agricultural innovations that ultimately divert us from a potential future of war. Excessive nitrogen similarly destroys the atmosphere. Nitrous oxide, a product of nitrogen fertilizers, is three hundred times more effective at trapping heat than carbon dioxide and has contributed to the resurgence of acid rain in developed countries such as the United States. These globalized effects of nitrogen pollution offer no easy solution, especially considering the essential role that artificial fertilizers play in feeding the population. Most searingly, recent research indicates that synthetic nitrogen destroys the soil over the long term by decreasing its ability to retain water and increasing its dependency on artificial nitrogen sources. 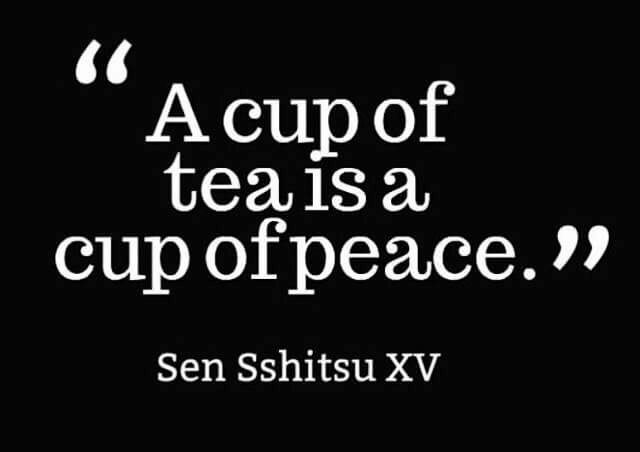 So, is that cup of tea really a cup of peace? Recognizing how farming methods came to be as they currently are is important when trying to unravel the reasons why it can be very difficult to find tea born of environmentally friendly, organic, natural farming methods. For me this kind of tea keeps me on the land here where I like to be. If you can make the trip, come to the origin and visit a few of your favorite terroir. Getting to know these places in springtime is an especially good idea, and not only because of the freshly made tea. By doing so you’ll have taken in their atmosphere and you’ll be able to identify healthy tea gardens from unhealthy yet picture-perfect ones. Well after you’ve returned home, if you’ve brought tea with you, you’ll be reminded of those places by way of it. The scent of orchids and wild grasses in the morning after the cloud sea has lifted will remind you… Then without even realizing how you got there peace will be found in your cup.